We’ve all heard the saying that the kitchen is the heart of the home. It’s a place to gather while a delicious dinner is being cooked, or even just to relax in while brewing that much-needed cup of morning coffee. 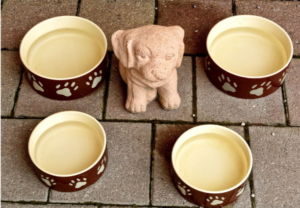 It stands to reason then that your four-legged family members might also want to be a part of that cheery atmosphere that can only be created in a kitchen. If you renovate your kitchen in the right way, both you and your pet will be able to enjoy the space. Let’s look at some of the ways to do just that. By incorporating a built-in one-stop feeding station in your kitchen, you’ll be able to give your pet their own little spot in the kitchen while still ensuring that the space is neat and clear of food- and water bowls. From the outside, it will look just like the rest of your kitchen cupboards but inside will house your dog’s pellets, treats, and even their leashes. The bottom drawer will hold their food and water bowls. 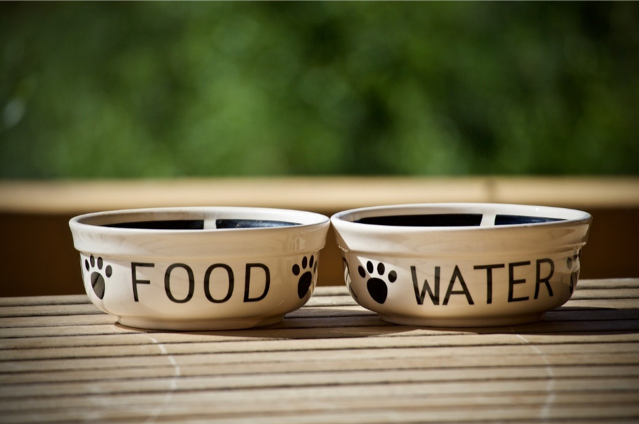 Tip: Using see-through or clear storage containers are a great way to never run out of your pet’s food or treats as you’ll always be able to see what’s left. 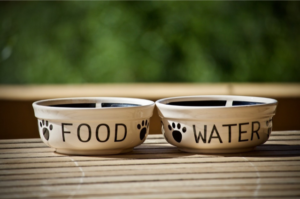 You could add a tap to the design of your pet’s feeding station. By having a faucet close by, you won’t run the risk of spilling water across the kitchen floor because you’ve filled the bowl to the brim. Tip: While you’re covered against spillage, your enthusiastic pet’s excitement could still cause an accident. It might be a good idea to put a water-resistant mat on the floor. Even your pet needs a break from being so cute all of the time. A custom built-in bed is a great space for them to unwind from their oh-so-tiring days of constant petting and hugs. This way, they can rest up while you can carry on cooking. Tip: It might be a good idea to have the bed as close to their doggy door as possible so that they can quickly take care of any outside business before getting back to the important business of snuggling. As cute as they are, we sometimes just need our pets out of the kitchen, whether it be to clean or simply cook that roast beef in peace! 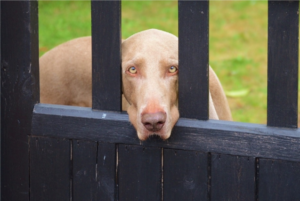 A sliding and retractable gate could be pushed into the wall when not in use and just pulled out again when your kitchen needs to be a no-pet zone. Functionality without sacrificing space. Tip: There’s no reason why this gate cannot be used for curious toddlers either. 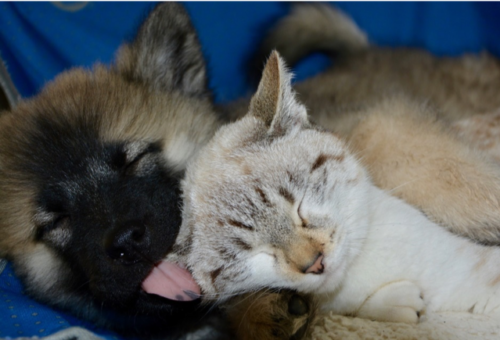 These are just some of the ways that you can make your new kitchen as pet-friendly as possible. However, we’re here to offer more than just ideas. Our experience and knowledge of the renovation industry have made us a trusted name all across Colorado. If you’re ready to create your dream kitchen while keeping your pet happy, then contact All About Bathrooms + More today and turn that dream into a beautiful reality.